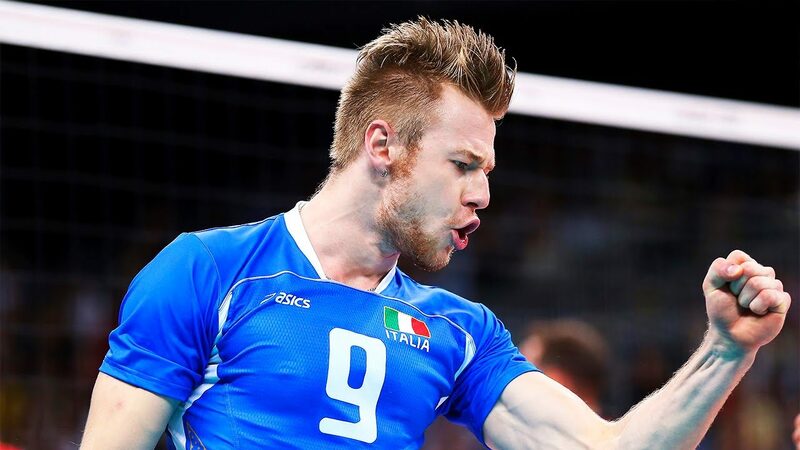 Italian volleyball star Ivan Zaytsev was among six athletes chosen to be featured on Alpha television channel’s new documentary series “Battlefields” or Campi di Battaglia. The show will be feature the athletes sharing their lives and careers. The series will include Martin Castrogiavanni (rugby), Gennaro Gattuso and Marco Materazzi (soccer), Flavia Pennetta (women’s tennis) and Aldo Montano (fencing) alongside Zaytsev. The show is set to air every Monday with Zaytsev’s episode, “The Tsar” scheduled for March 15. Zaytsev was born in Italy, to Russian volleyball player Vyacheslav Zaytsev, who was a member of the country’s 1976, 1980 and 1988 Olympic teams, and mother Irina Pozdnyakova, a competitive swimmer. He holds dual citizenship and has been a member of the Italian national team since 2008, earning silver at the 2016 Rio Olympics in Rio and bronze at the 2012 Games in London. The outside hitter also boasts a silver medal from the 2015 World Cup and two bronzes from World League play (2013, 2014). Zaytsev is known for his strong serve and nabbed the title of Best Server at the 2013 European Championship. He was later named Best Opposite at the 2015 European Championship. In the club ranks, Zaytsev plays for Sir Safety Perugia in Italian Seria A1. Prior to joining the side in 2016, he played for seven other clubs, including Dinamo Moscow in Russia from 2014-16. The television show is not Zaytsev’s first foray into the spotlight, as he acts as a model for Redl Bull, DHL Express and Toyota and also is sponsored by Adidas.